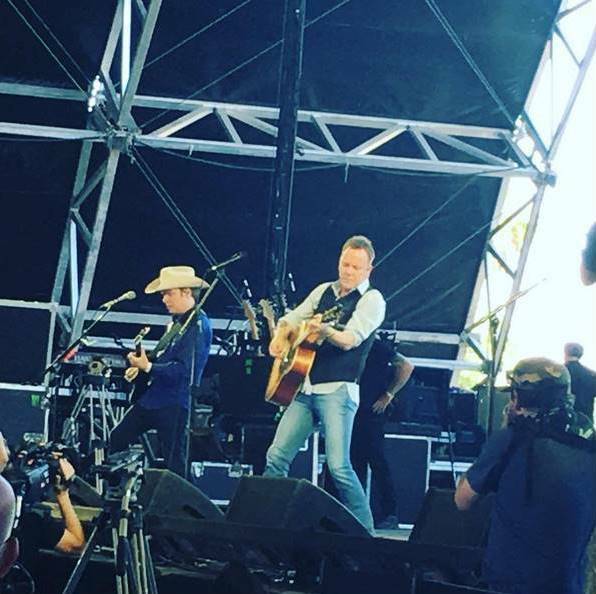 Kiefer Sutherland‏ @RealKiefer. « @LosLobosBand The sweetest end to the afternoon @Stagecoach was meeting you Conrad. You guys are the real deal, what an honour ». 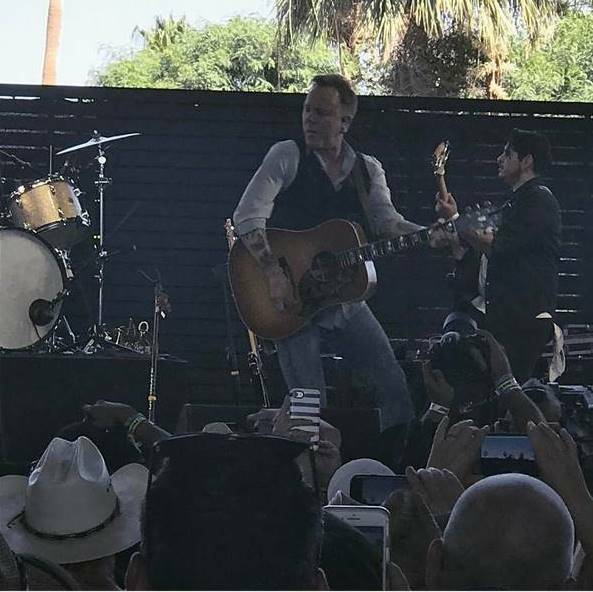 After today’s set, Kiefer stopped by Stagecoach Festival’s 2017 Facebook LIVE stream for a quick Q&A with Courtney Cole. 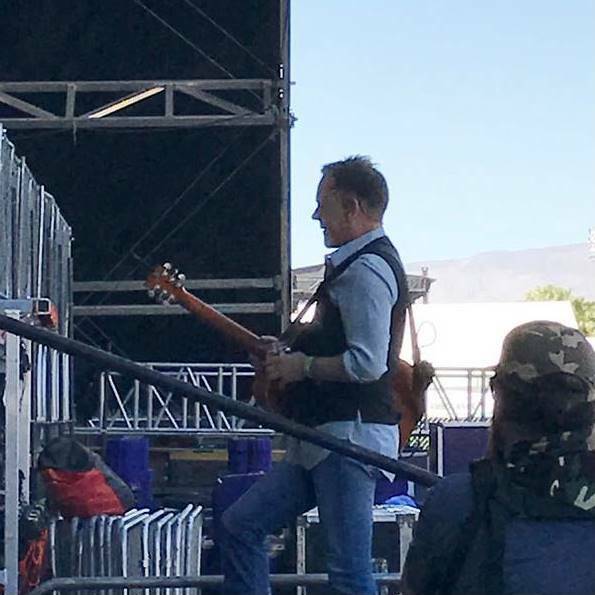 Kiefer Sutherland Warming up before the set at @stagecoach festival this afternoon. 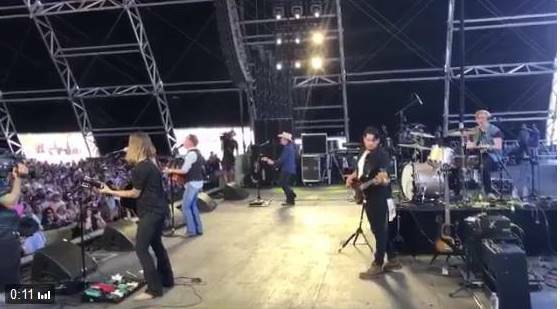 Rehearsing for the first stop Stagecoach Festival, and then on to the Not Enough Whiskey Tour. 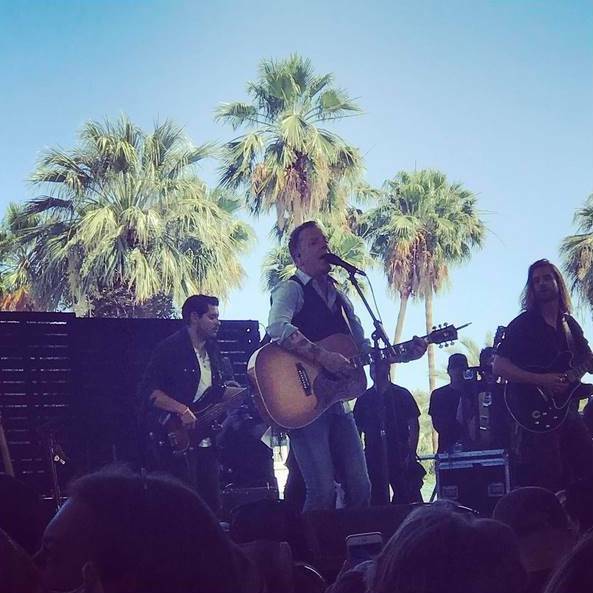 On Sunday, inside the Palomino tent at Stagecoach, he was a country star with a deep, gravelly voice and a story to tell. He performed songs from his debut studio album “Down in A Hole” released Aug. 19, including the prison ballad “Shirley Jean,” which has a video, just released on Friday – the first day of Stagecoach. The crowded tent was filled with fans, many whom loved his energy and emotion which at times had him stomping around the stage, jumping off the drum stage and strumming so hard you might expect him to break some strings. “I would have played at 8 in the morning and I would have played for 15 minutes. Incredible privileged. I feel really lucky to have been invited. 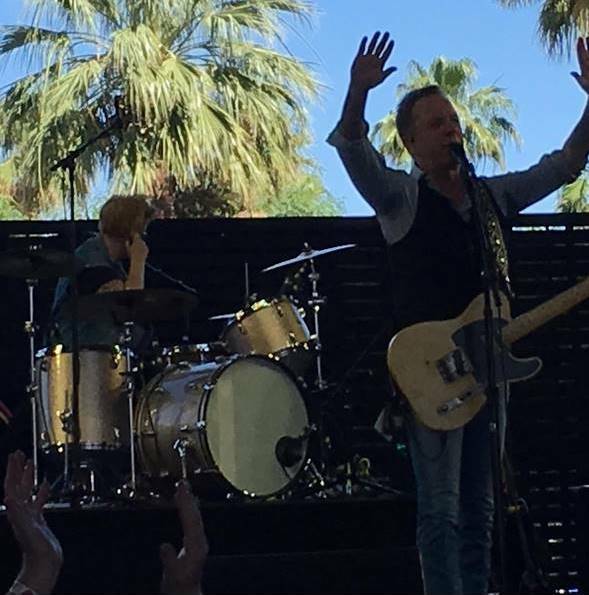 And … the audience was so fantastic I was so thrilled,” he told The Desert Sun in a post-performance interview. He’s also making an appearance later this year in the reboot of “Flatliners” starring Diego Luna and Ellen Page. For as illustrious as Sutherland’s career has been, there is one obvious thread that weaves through the 50-year-old’s career in front of a camera – storytelling. “I never looked for a role, there was films I wanted … but it was always up to a director to decide what part they thought I was best suited to help tell that story. And I’ve always approached that like that, same with television. And music is just another way of telling a story, just for me on a more personal level,” Sutherland said. He’s been writing for a long time and music has always been a part of his life but, aware of the stigma that can be attached to an actor doing music, he kept that itch at bay. “It was never something I wanted to do. 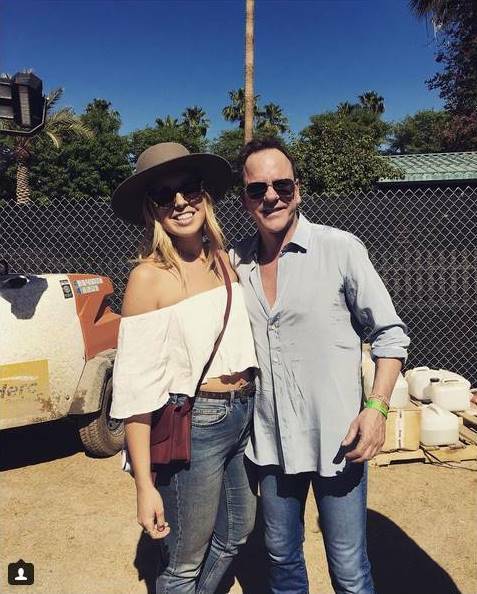 Definitely not in my 20s or 30s and even 40s, but I’d written some songs that I was really proud of and I really liked,” he said. 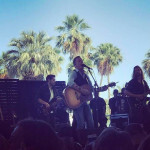 His initial plan was to record some demos with his best friend and writing partner, Jude Cole and then hand them off to Sony or BMI and see if they can get other artists to do them. But, he really liked the way the songs sounded and after initially saying “no” to Cole’s suggestion of recording an album himself, he finally gave in. “He was pretty smart, he took me to a bar and it started to sound like a better idea and so we agreed to do a couple of songs at a time and for me there was a moment, it was around the 6th or 7th song and I had to just acknowledge that I really liked the way he had made them sound and I really liked the songs and I really wanted to play them live,” Sutherland said. 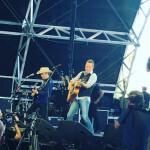 Sutherland has much respect for and looks up to legendary singer-songwriters like Johnny Cash, Waylon Jennings, Merle Haggard, Kris Kristofferson and Willie Nelson because, much like him, they have faults and aren’t afraid to write about them and sing about them. It is through his writing music and live performances that, for the first time, he can’t hide behind a character when telling stories – a big deal for the seasoned entertainer. He’s enjoying the ride for as long as it lasts.